New research shoots down a widely popularised social psychology finding. New research is casting serious doubts on the effectiveness of the popular trend of power posing. Seven recently published studies have not been able to replicate the results that promised that by just striking a powerful stance, you could increase your testosterone levels and improve your confidence and performance in stressful scenarios like job interviews. "There were no changes whatsoever in people's testosterone. No one has been able to replicate those findings with any good studies," said Dr. Joseph Cesario, co-editor of a Comprehensive Results in Social Psychology, which published the new research. Power posing was popularized by Dr. Amy Cuddy from Harvard University. Her TED Talk on the subject has been seen by over 43-million people. To learn more read the Q&A with Dr. Joseph Cesario below. Bob McDonald: In Dr. Amy Cuddy's TED Talk, she describes what happens when she looks at people's testosterone levels after power posing. When people did the power posing for two minutes, with an open stance and hands on the hips, they experienced a 20 percent increase in testosterone. Those who closed up their bodies experienced a 10 percent decrease in testosterone. What happened when scientists tried to reproduce these results? Dr. Joseph Cesario: Absolutely nothing.​ There were no changes whatsoever in people's testosterone. No one has been able to replicate those findings with any good studies. In our journal, we had people try to replicate it they couldn't do it. Others have also tried to replicate it with hundreds and hundreds of subjects and found no effects at all on hormones. And actually Dr. Cuddy has now dialed back that claim about about the hormones and said she isn't so sure that it's there anymore. There were no changes whatsoever in people's testosterone. No one has been able to replicate those findings with any good studies. In our journal, we had people try to replicate it they couldn't do it. Others have also tried to replicate it with hundreds and hundreds of subjects and found no effects at all on hormones. ​BM: Well why do you think she got those results in the first place? JC: I think why she got the results are probably that she was just picking up on noise in the study. That happens, especially when you're doing psychological research with a small number of people. So in that work that was published with the hormones there was under 20 people who were power posing and under 20 people who were doing low power poses of closing up their bodies. When you have such small numbers, you get a lot of variability. And she was probably picking up on some of that noise and thought it was signal when it wasn't. BM: So after all these studies, what kind of effect, if any, does power opposing have? JC: What we do find, very consistently, is that if you ask them, "How powerful do you feel right now?" They'll tell you, "I feel powerful when I've stood and I look like Wonder Woman in the bathroom for two minutes." But the problem with that, is that that doesn't translate to behavior at all. It doesn't have any impact on what they actually do when they go into the job interview. And it doesn't have any impact on their hormones. It doesn't have any impact on how they think - whether they think more powerfully - or anything like that. It could very well be a placebo effect. We don't know. It doesn't have any impact on what they actually do when they go into the job interview. And it doesn't have any impact on their hormones. It doesn't have any impact on how they think - whether they think more powerfully - or anything like that. It could very well be a placebo effect. BM: But if I if I feel powerful walking into a job interview, isn't that a demonstration that power posing has some positive effect? JC: It absolutely has some positive effect in making you feel better, but you could very easily imagine that that has actual negative effects down the road. So if I feel powerful, but I actually lack the skills that are necessary to do well at this job interview or to negotiate with my boss or whatever, you could imagine that I'm going to be spinning my wheels. I'm going to keep trying the same thing over and over again, thinking to myself, "All I have to do is stand with my hands above my head. I feel so powerful when I do that." And I'm going to be missing out on the actual changes that I need to make in my behavior to succeed in the future. BM: So in other words you have to have the actual skills? JC: That's a necessary component. And to say to people, "If you're low status - do this and your life will be transformed." There's no evidence that that's the case. BM: Well we reached out to Dr. Amy Cuddy from Harvard University - one of the original authors of the power posing studies, the woman who gave the popular TED Talk. She wrote us a fairly lengthy response, but it says in part, "I'm confounded that the authors seem to try to dismiss the importance of powerful feelings effect." One of her original studies measured how people performed in a mock job interview, just like the one that was in your publication, except Dr. Cuddy found that people did power posing did have an impact on their behavior. How do you respond to that? JC: One of the studies by Victor Keller in our journal had I believe 300 participants in that study doing exactly the same thing that she had published with 50 participants or something like that. We were unable to replicate that. So there is no published evidence that that feeling actually matters for anything. BM: So is the science now settled on the matter of the effectiveness of power posing? JC: I think there's very strong evidence now that it will not impact behavior. The only hope for people who might want to salvage the idea is to show that somehow that feeling of power, down the line, matters for some outcome. But at the current point, there's no evidence, at all, that's good evidence, that's going to suggest that that it should matter for a person. - One of the most important things here is that these studies provide very strong evidence for an effect of power posing on felt power, as Gronau et al. show in a Bayesian meta-analyses of the studies in the CRSP issue ("Our meta-analysis yields very strong evidence for an effect of power posing on felt power." I believe the p-value is .0003) and as Cesario et al. highlight in their "what was the point and what did we learn" summary: "Bayesian meta-analysis conducted by Gronau et al. in fact showed a reliable non-zero effect on felt power." I'm not surprised to see that the effect on power posing on feelings of power is "very strong." It's consistent with our own p-curving meta-analysis of 14 studies that measured feelings of power showing clear evidential value. - I'm confounded that the authors seem to try to dismiss the importance of powerful feelings effect. Social psychologists are sitting in an age of panic, fearing that nothing in the field will replicate. And here we have a primary effect that's been heavily scrutinized that replicates! I'd expect researchers to be relieved or even happy to have made this discovery! I truly can't make sense of why these researchers seem so keen to dismiss it. - In that vein, I have to correct Cesario et al's critical misrepresentation of the feelings of power variable – the claim that the 'feelings of power' DV is considered merely a manipulation check in this literature. This is incorrect and to be honest, I'm really not sure how they could make that mistake, given their familiarity with this literature. First, the seminal Carney et al. (2010) paper, feelings of power was conceptualized and presented, repeatedly many times throughout the paper, as a DV of primary interest (e.g., "We hypothesized that high-power poses (compared with low-power poses) would cause individuals to experience elevated testosterone, decreased cortisol, increased feelings of power, and higher risk tolerance " (Carney et al., 2010, p. 1364); the term "manipulation check" was not even used in that paper. I could bore you with many other quotes from that paper clearly indicating that it was a key variable of interest. Second, of the 14 studies in our recent meta-analysis, 12 characterized feelings of power as one of theoretical importance, not as a manipulation check. IIn some studies (e.g., Park et al., 2013, Studies 2a and 2b), feelings of power was the only DV, explicitly presented as the key outcome variable. Of the two studies that presented feelings of power as a manipulation check, one was Ranehill et al., which would have to have been referred to as a partial replication of Carney et al. (2010) had they accurately presented feelings of power as a primary DV of interest as it was presented in the original paper. The only other study that referred to feelings of power as a manipulation check was Cuddy, Wilmuth, Yap, & Carney (2015), which examined the effects of adopting expansive vs. contractive postures before a mock job interview on job interview performance and outcomes. I take responsibility for presenting it as a manipulation check in that paper. I wavered about the decision but ended up doing so because I believed it to be so well established as to not be considered a "novel contribution." No other postural feedback experiments that measured other emotions, affect, or other self-reported feelings, characterized those measures as manipulation checks. Conceptualizing self-reported feelings as manipulation checks in postural feedback studies is akin to conceptualizing self-reported feelings as manipulation checks in facial feedback studies: it is the primary DV. I don't believe it is a demand characteristic. If it were, we would not see such strong evidential value for other emotion, mood, affect, and attitude outcomes measures, as we do in our p-curving analyses. Is this effect "meaningful?" Does it matter? Of course it does. In facial feedback research, the primary hypothesis was that holding certain facial expressions would cause people to feel the emotion associated with that facial expression. The debates around facial feedback findings have focused on that very effect: does smiling, for example, cause happiness? Because that's what was interesting – can you cause yourself to feel an emotion by adopting the body language associated with that emotion? In the case of power posing, the answer seems to be a fairly clear "yes," which is a meaningful contribution to psychological theory. Does it matter practically? Changing people's subjective mental states – mood, emotions, attitudes toward a person or a product -- has been at the core of social and other areas of psychology for decades. Imagine telling a clinical psychologist that feelings are not meaningful dependent variables in psychology experiments. Yesterday I heard from a psychologist who's shown that adopting expansive, upright, seated positions (i.e., sitting up straight) improves mood in mildly depressed people. I'd say that matters. And a massive literature has demonstrated the effects of feeling powerful on other outcomes: feeling powerful activates the behavioral approach system, which can lead to effects on thoughts, other feelings, behaviors, and even health. As the researchers know, experiments simply cannot "unequivocally show" that something has no effects on any measure, as Cesario writes in his blog: "Four studies with total sample sizes larger than nearly every other study on the topic show -- unequivocally -- that Power Poses have no effects on any behavioral or cognitive measure" (emphasis NOT added). These researchers know that this is not a valid claim. We cannot refute any behavioral or cognitive effects. We can fail to reject the null hypothesis, but we cannot prove that something never happens. I don't know why this language is being used as no experimental psychologist I know would support it. But one of the encouraging things is that we now have scores of studies – some pre-registered, some not – on power posing, so we need to figure out the best way to meaningfully and carefully meta-analyze them – like following the approach Groneau et al. applied here with feelings of power. I'd LOVE to see Bayesian analyses for other variables that have been measured more than two or three times, like risk-taking. What does the pattern look like? If we have ten studies that measure risk-taking and almost all of the effects trend in the predicted direction (i.e., power posing increasing risk-taking), that suggests the presence of a real effect. The chance of that happening for a null effect is near zero. If half show positive effects (significant or nonsignificant) and half show negative effects, then I think we're ready to say that power posing likely does not affect risk-taking. A Bayesian analysis would provide very useful information for other effects that have been studied multiple times. I think this gets at a much bigger discussion that the field needs to have: Do non-pre-registered studies get dismissed? In this case, we'd be dismissing more than 50 experiments. More broadly, we'll be dismissing the vast majority of social psychology studies – not just of the past but also of the present, as the majority of social psychology experiments being published in peer-reviewed journals are still not pre-registered. Move to other fields of science and that percentage drops precipitously. Should all of that experimental work be dismissed? Similarly, should the non-pre-registered significant effects in the special issue be dismissed? This is just not a categorical or simple story, although I sense that many people would prefer a simple "power posing works!" or "power posing doesn't work!" headline. We've got a lot more studies, methods, and data than we had five years ago. So any sweeping statements misrepresent the science, which disserves everyone. 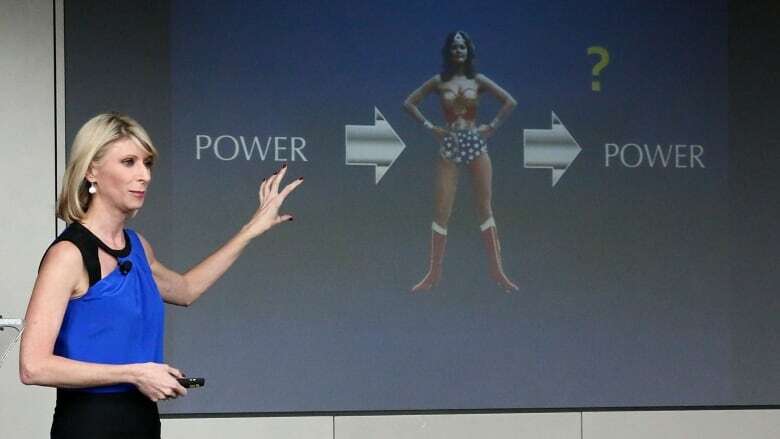 The simplest story we can tell is this: power posing makes people feel more powerful, which is the key outcome variable, not a manipulation check (as I explain below), and one that is theoretically and practically meaningful. The evidence of effects of power posing on proximal cognitive and behavioral outcomes is, depending on the specific measure, mixed or weak. And as I've noted in all of my responses to this growing area of research, that's okay. It has to be okay, because that is how science evolves. That's how we learn. We now have more information, and that's a good thing. But more information usually reveals complexities that can frustrate or dishearten researchers. Still, ALL of the research must be considered. We can't use arbitrary rules to dismiss scores of studies. Just we can't use arbitrary rules to treat any single study as the final word. If there's a genuine interest in understanding this – or any complicated phenomenon -- as a scientist, there is a way forward. But it requires curiosity, patience, and a true willingness to consider the entire body of evidence.